Every product will be handled separately because they will be assigned with their own ids that will allow a customer to delete the product without deleting other products on the list. Moreover, your customers can track and pay products individually. By giving unique ids to each product makes them isolated from each other so handling each product will become easier for both admin and customer. Admin is the one who decides attributes under which the orders will split and start behaving like the one in the default condition. For instance: Admin has selected ORANGE color for an attribute so now if his customer selects products and if one of the selected product contains orange color then each product will be assigned to unique ids. However, if none of the product in the customer comes under the attribute that admin has selected then all products will be grouped and assigned a single id. Products coming under same attributes, which decides admin, are bunched under the same id and products which are not allotted attribute are clustered together to put them in single id. For instance: Let say admin select attribute COUNTRY WISE .So,if in your customer list two products are from China and others are from India then the products shipping to China will be grouped and given the same id while the products shipping to India will be send under the unique single id. 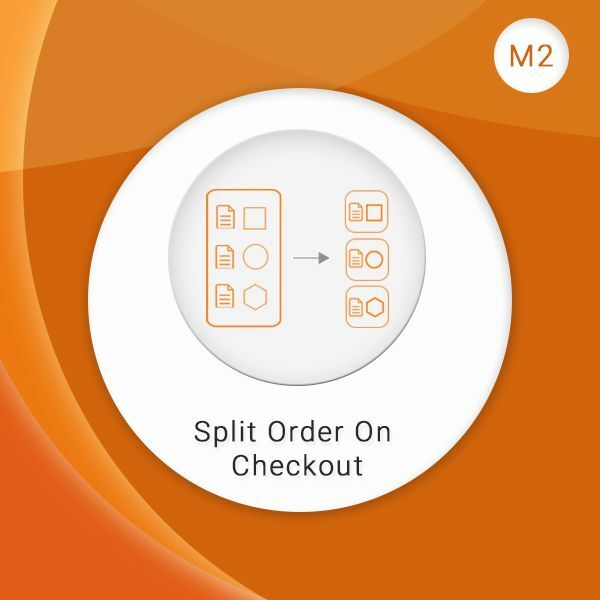 With Advanced Split Order On Checkout admin can make multiple sub-admins to grant access of the extension according to the role provided to them. Split abundance of product to work efficiently. So splitting orders helps you and your customer to manage and track the long list of products. Adding our extension as per your need will enhance the productivity of your Magento based website.